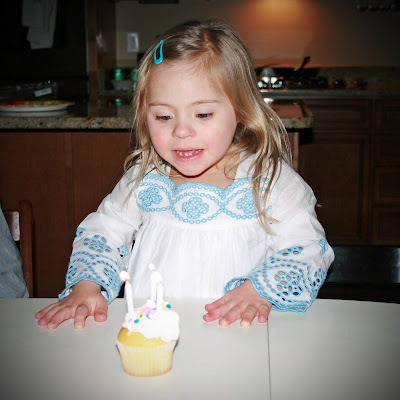 our perfectly imperfect life: Happy 3rd Birthday, Sweet Girl! Exactly three years ago I laid in a hospital bed anticipating your birth ... the birth of my baby girl. My life would be perfect ... I'd finally have the son and daughter that I had always wanted. After you were born, however, you threw us for a loop. 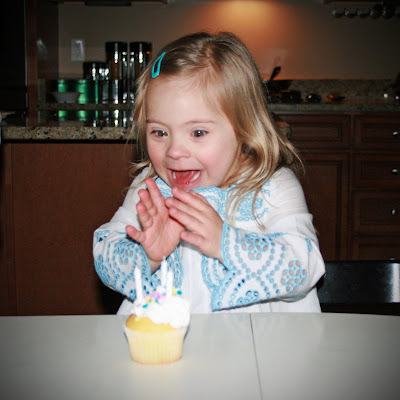 The doctors told us, "We're very sorry, but we believe your daughter has Down syndrome." I might not have known it at that moment, but being your mommy has been one of the greatest gifts in my life. You have Down syndrome, but Down syndrome does not have you. That extra little chromosome could never change the way I feel about you ... in fact, it has brought a new meaning to the word love. You have grown so much over the past three years. I know that everything you have learned has been a challenge, but that makes the end result that much sweeter. Not many people can understand why we get so excited at the littlest achievements ... your determination is amazing and it makes us so proud. Your passion for life is addictive and you have done nothing but make me a better person. You have developed into quite the little social butterfly. You are such a little mommy at heart, yet the tomboy in you loves to play trucks with your brother. You are a die hard music fan and I could watch you shake your little booty all day long. You make me smile constantly ... I wish I knew what was going on in that little head of yours ... you are so smart and you understand so much. I have so many memories stored deep in my heart and I have cherished every moment that we have spent together. Keep your passion alive because I know God has great plans for you. We celebrated Payton's birthday today with close family. I made dinner and we were joined by Grandma B, Auntie Kristie and Uncle Casey and Auntie Shay, Uncle Jeremy and Cousin Jaxson. We just had a small little party and we will have a big party toward the end of the month with Mason, since he turns five next week. And last but not least, a new stroller from Mommy, Daddy, Mason and Nika ... let's see how long Mason can go without breaking this one! 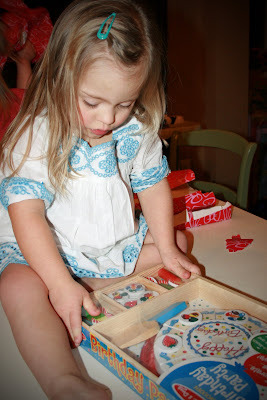 Thank you so much for the gifts ... Payton had a great time playing with them before bed. Once again, Happy Birthday sweet girl ... we love you to pieces! These photos are beautiful! And, your sentiments are stunning too. 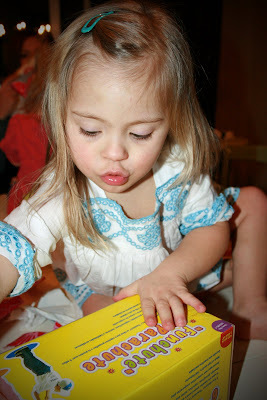 I wish Doctors had a copy to give parents who are concerned about Down syndrome - at the point of testing - at birth. I especially liked "but Down syndrome does not have her". Well said! Awww beautiful photo’s again. Payton looks so grown up in these photo’s. Beautiful post brought tears to my eye’s. We have that same wood cake flown in from the US (don’t ask what it cost to do that lol) it’s fantastic I wish I could come over for a shopping spree. 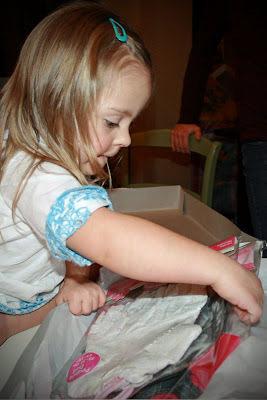 Your photos are lovely - Payton is really a beautiful little girl! You must be so proud! Once again, you words are inspiring to me. Your post to Payton was beautiful....sniff...sniff. Happy Birthday Sweet Girl! Bethany, your letter is beautiful. Happy Birthday Payton! 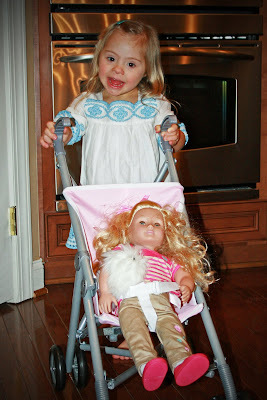 It is crazy to think that she is 3 already! She has made us better people in such a short amount of time. She continues to amaze us and we are grateful that are part of her life. We love you beautiful girl! She is amazing! Happy Birthday Beautiful Girl!!! She is just adorable. Happy 3rd Birthday Payton!! Happy 3rd Birthday sweet Payton! You are just sooo precious!!! Happy Birthday, Sweetie!! 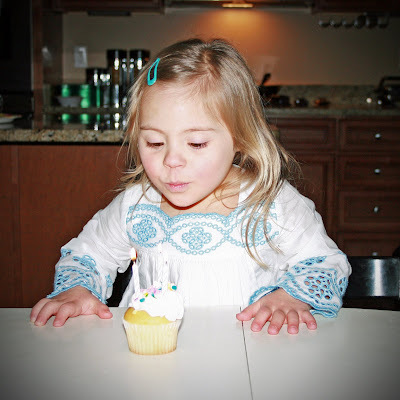 The photo of her blowing out the candles looks like a little, long haired Mason. :-) Hope 3 is a great year for ya, little gal! Happy Birthday!! She is so pretty. She looks like she is "growing up!" Happy Birthday Payton! Your pictures are beautiful! Oh my gosh she is cute!!! What adorable pictures! Isn't it great having birthdays so close to christmas? I have such a hard time coming up with ideas around this time of the year. 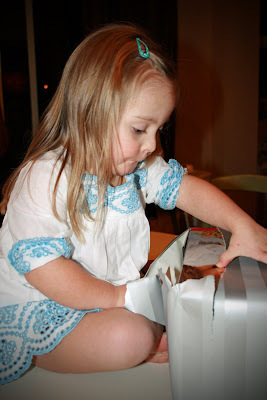 "You have Down syndrome, but Down syndrome does not have you." Looks like she had a GREAT birthday! She looks so adorable in that little dress/shirt- I LOVE her clothes, need them for EV. Maybe I should start shopping on Polkadot Platypus- ha ha!!! A belated, but very happy birthday wish to Peyton! She's just beautiful!